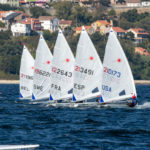 The 2018 Laser 4.7 World championships concluded today after 11 races in Gdynia, Poland. 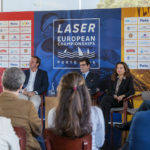 And the most remarkable news is Italian sailor Chiara Benini Floriani ITA was crowned new 2018 Laser 4.7 champion! Congrats Chiara!!! The final day of the Championship brought overcast skies, a little cooler temperatures and occasional light rain. The wind was in the same direction as it had been the past several days (around 340 degrees), but a little bit lighter, around 7 to 10 knots for much of the afternoon. 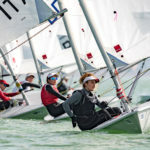 In the girls fleet coming into the day it was a tight battle at the top between two Italian sailors: overall leader Chiara Benini Floriani ITA and Giorgia Cingolani ITA, who was five points back. Simone Chen SIN and Eline Verstraelen BEL were tied on points, but about 20 points behind second place, theoretically still in contention but needing quite a bit of help. In the first race of the day, Chiara could manage a third place but Giorgia finished in the middle of the fleet, so the Championship was effectively over. With this confidence, she could focus on what seemed to matter most: reading the wind. 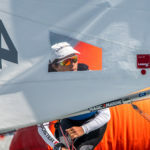 Chiara managed to finish in the top five in eight of the eleven races, finishing first in four of them, and with her lowest finish at 23 before the final race, wrapping up this 2018 Laser 4.7 World championship with 57 units. Singapore’s Simone Chen had a very good day also with a 9-2, finishing championship on 2nd place overall and first U16 with 67 points. Giorgia Cingolani ITA was finally 3rd overall with 95. Marissa Ijben NED and Mina Ferguson AUS were Silver and Bronze on the Under 16 podium. Lara Himmes ESP, Marilena Makri CYP and Ursula Balas CRO were also part of the World Top 10, concluding championship on 7th, 8th and 10th respectively. Congrats girls! 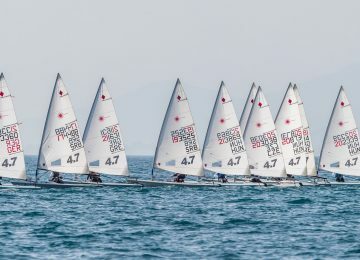 In the boys fleet, Australian sailor Michael Compton AUS had taken the top spot the day before, but the regatta was far from over. One bad race can push you down the standings pretty quickly. Daniel Hung SIN, Stefano Viale PER, or Doruk Demircan TUR each might have a chance if they sailed well and had some luck go their way. In the first race of the day, Daniel Hung had another very good performance, finishing fifth, and had closed the gap between second place and first from 19 down to 6 points. With the Championship on the line, Michael Compton wanted to stay close to Daniel. He didn’t need to beat him, but just not let too many boats get between them. Coming into the leeward gate, he was right where he needed to be: close. Unfortunately, he was a bit too close, making contact with the boat clear ahead and having to take a two turns penalty. It was a costly mistake, but a valuable lesson learned. Still, even if it felt a little disappointing to have a Championship slip away like that, it was a very impressive result for Compton as he was the top sailor Under 16 in the boys division. 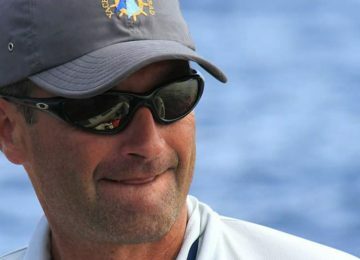 Third place overall was for Peruvian sailor Stefano Viale. Fourth place for Wonn Kye Lee SIN. 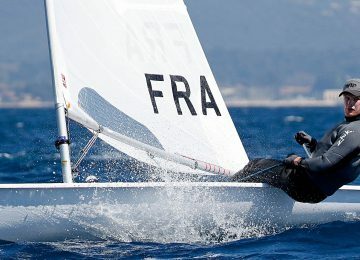 French sailor Theo Peyre FRA was the best ranked European sailor, finishing championship on 5th place overall, followed by Turkish sailors Doruk Demircan and Batu Özonur TUR on 6th and 7th respectively. 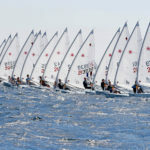 Greek sailor Georgios Papadakos GRE, British James Foster GBR and Dutch Paul Hameeteman NED were also part of World Top 10 ranking, concluding competition on 8th to 10th. Paul was also Silver on the U16 category. Congrats guys! 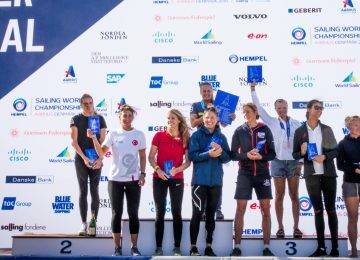 Report by Agustín Argüelles – EurILCA | Source: ILCA | Photos: Robert Hajduk – Shuttersail – Volvo Gdynia Sailing Days.